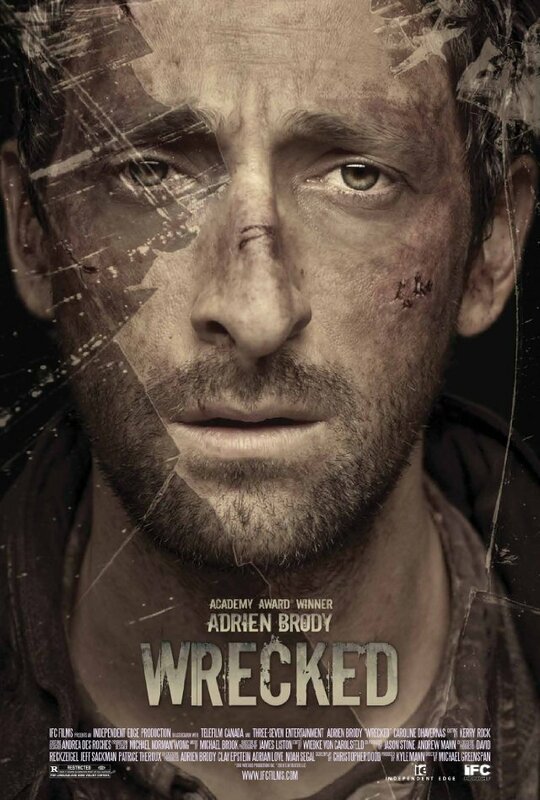 Wrecked … like this movie. Rod Serling could have condensed this into a tense twenty-four minute episode. But why do that when you can bore people for ninety? American Film Institute grads Michael Greenspan and Christopher Dodd have a good premise, and have gotten some good talent in Adrien Brody — and really, to their credit, they start off with a bang, as you are thrown into Brody’s situation of being pinned in a crashed car in the middle of the woods with no recollection of what happened or even who he is. However, they can’t maintain the tension, and it becomes an exercise of watching Brody whimper as his crawls around the forest, imagining people and possibly dogs. Frankly, the situation COULD have ended earlier, by having Brody actually climb back up through the woods in the direction the car came from — like even dumb people would do. But no, he goes the other way, and ends up falling into a river, going down some rapids, and then ending up BACK AT THE CAR! How do you float down a river, and crawl back up with a broken leg to the point that you left off? Answer? You don’t. So..all in all. Beautifully shot if you like looking at woods for an hour and a half. Brody DOES put his acting chops to work. A couple of tense moments with a cougar (big cat, not older woman with penchant for younger men). But, this is no 127 hours.